R.Braybrook - JSF: The Only Game In Town? 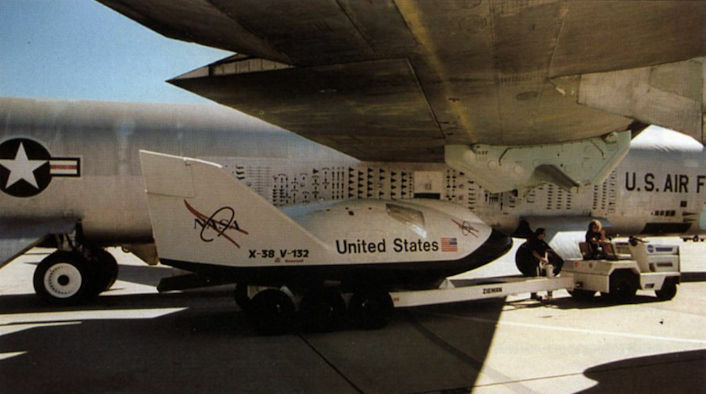 A current Dryden programme is the X-38 lifting-body ‘lifeboat’ for the International Space Station, and NASA’s venerable NB-52B is presently undertaking flight trials with mock-ups. 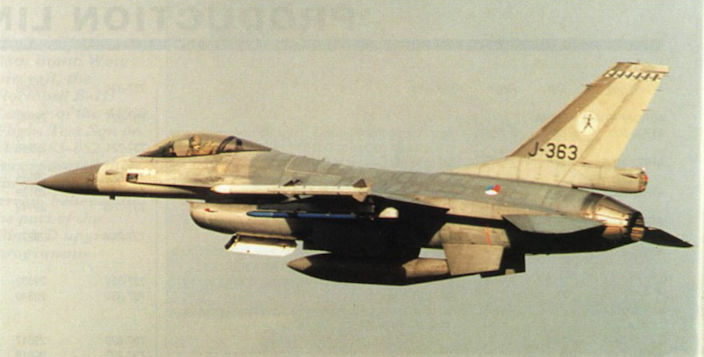 Organising unit for Frisian Flag ’99 was No 323 Tactical Training Evaluation and Standardisation Sqn, one of whose F-16AMs is seen taking off from Leeuwarden AB. A spirited display was flown by this F-16B of the AFFTC’s 6510th Test Wing. The ED tail code is worn by more aircraft types in the USAF inventory than any other. 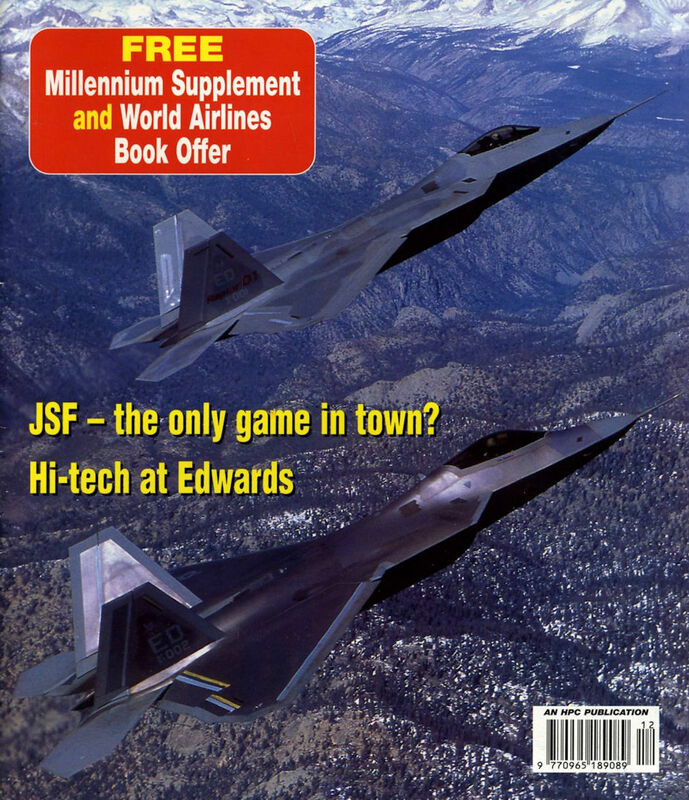 America’s future ‘supercruise’ fighter, the F-22 Raptor, made its public flying debut at the Edwards show, just after Congress agreed funds to continue the programme. 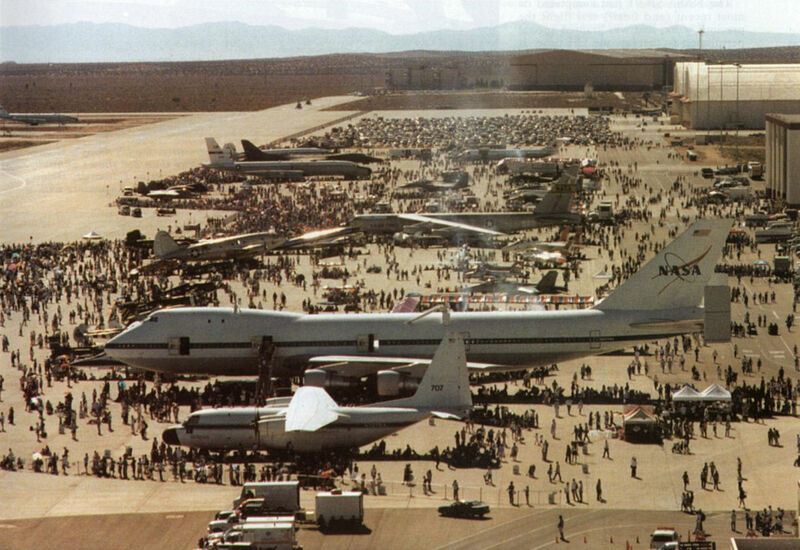 Edwards' B-52H with what appear to be AGM-129 Advanced Cruise Missiles on the underwing pylons. The US Navy participated in the exercise with the Tomcats (shown), Hornets and Prowlers, flying in from the US 6th Fleet in the Mediterranean. Celebrating 40 years of demonstration parachuting, the US Army’s Golden Knights team uses a fleet of six aircraft to perform more than 250 shows annually. 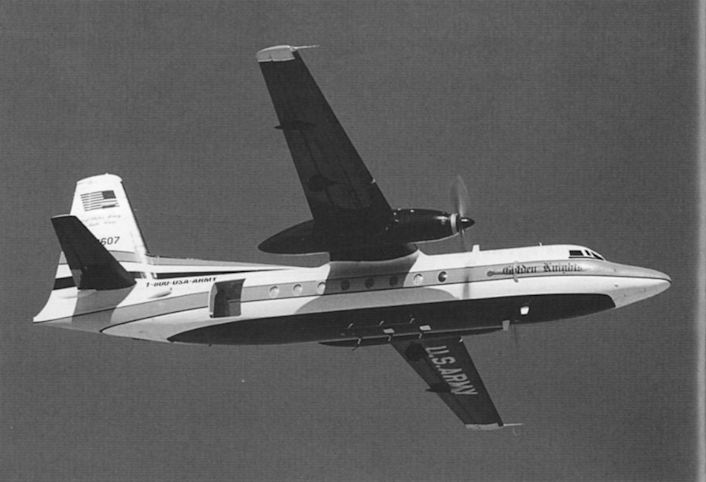 This black, white and yellow F27 was the team’s mount at Edwards. The US Navy participated in the exercise with the Tomcats, Hornets and Prowlers (shown), flying in from the US 6th Fleet in the Mediterranean. 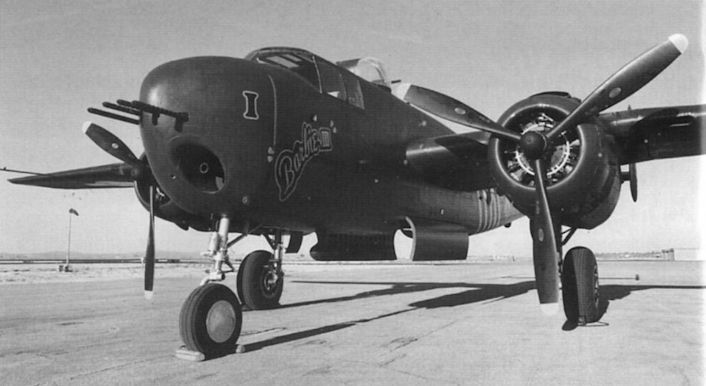 ‘Barbie III’ is the world’s only flying B-25H, one of two Mitchell variants with a 75 mm M-4 gun in the nose.